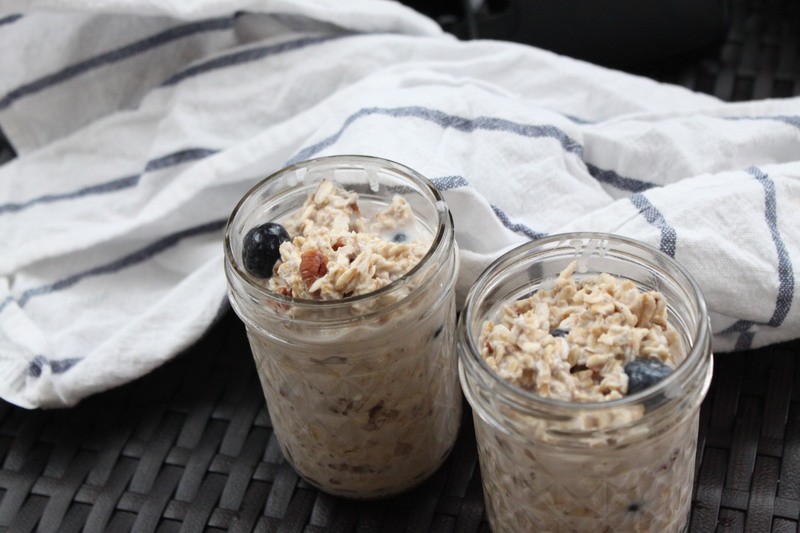 I made this batch of oats recently for a camping trip planned by my husband. I consider myself to be someone who appreciates the outdoors, but it turns out that I tend to appreciate it more after a good night’s sleep in my own bed. I suspected this, but I had every intention of being a good sport. Prepping food to bring along seemed consistent with my idyllic concept of how our camping trip would operate. We would pull up to our camp site, pitch our tent, dig into our delicious snacks while our obedient dog sat complacently by our sides. Next we would fall into a peaceful slumber listening to the crickets chirping just outside and eventually be woken gently by the sun rising on nature all around us. We used the remaining daylight to pitch our tent. Then, eager to get to sleep, I layered on extra sweatshirts/pants/hat and (still chilly) settled into the least rocky spot I could find to try to get in some good hours. Instead of crickets, for eight long hours, I could hear the excitement of a wagging tail coming from the adjacent tent’s enthusiastic pup punctuated by occasional bursts of profanity from his owners reprimanding him. 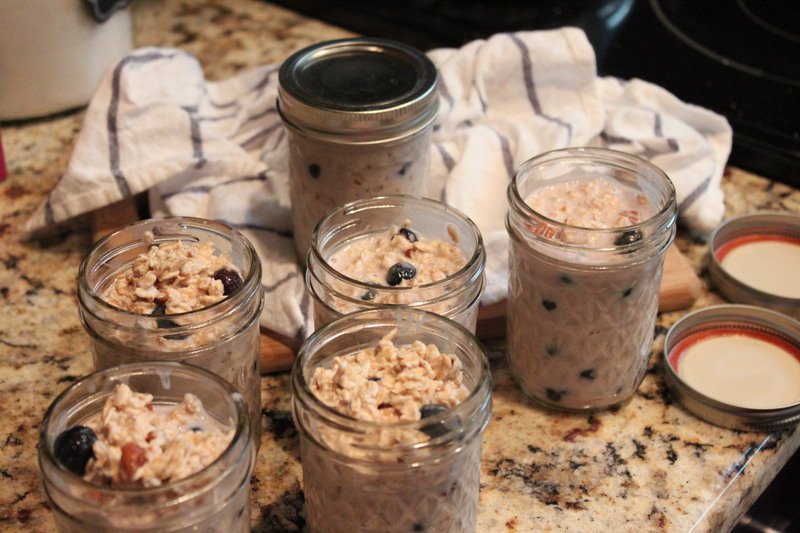 I don’t measure a whole lot when I’m making overnight oats because that’s the beauty of making them! They are supposed to be REALLY EASY. ← Welcome to The Bahama Llama! !